"My focus and enjoyment is creating beautiful images that capture a mood, a feeling and tell a story of a brief moment in time"
2012 Award Finalist Image "Silky Sunset" by photographer Connie J. Arnsman. Canon 5D Mark II/Canon EF24-70 2.8 L. Entered in Photographer's Forum 32nd Annual Spring Photography Contest, co-sponsored by Sigma. Published in the hardcover book "Best of Photography 2012" by Serbin Communications. 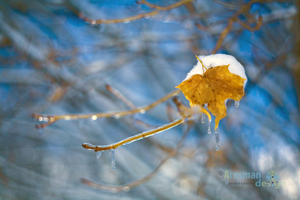 2011 Award Finalist Image "Melt Me" by photographer Connie J. Arnsman. Canon 5D and vintage Yashinon 1:2.8, f=60mm macro lens. Entered in Photographer's Forum 31st Annual Spring Photography Contest, co-sponsored by Sigma. Published in the hardcover book "Best of Photography 2011" by Serbin Communications. Welcome! Thanks for taking the time to view my photography.. click ok to enable flash presentation...Enjoy! Website design and content by Connie Arnsman/Arnsman Design & Creative Solutions AD & CS. All rights reserved copyright 2009-2016.